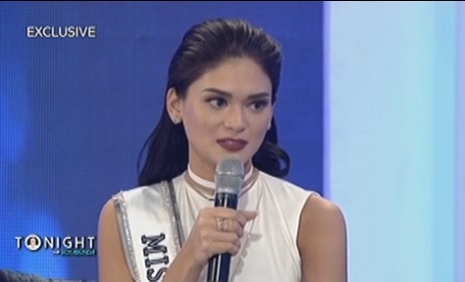 Last April 14 in Tonight With Boy Abunda, Miss Universe 2015 Pia Wurtzbach finally confirms that she is exclusively dating Dr. Mike Varshavski. Dr. Mike is known for being the sexiest doctor alive who lives in New York City and a Russian family medicine resident, social media entrepreneur, and philanthropist. According to Pia, she’s quit with her status with Dr. Mike and she’s only revealing it to Boy because she trusted him. Pia said that Dr. Mike is adjusting to Filipino way of courtship. She shared that she need to explain it to him how courtship is done in the Philippines and she described him true gentleman. She revealed that Dr. Mike is planning to visit the Philippines and they are currently adjusting to their cultural differences. She never said I love you to him yet and she wanted him to say first and she will decide is she will say yes. According to her she said to Dr. Mike that Miss Universe remains her priority.